War of words between the RBI Governor and the Finance Minister! The finance ministry’s response is lethargic, to say the least! We, citizens, know this is how the RBI is managed! Mr.Urjit Patel, the governor of the Reserve Bank of India has revealed, for the first time, we believe that the big bank scams and frauds can’t be controlled! He cites the reasons. One crucial reason is the RBI doesn’t have any powers to control or correct the Public Sector Banks! Of course it is another matter that ever since the big scandal of the one PSB, namely, the PNB (the Punjab National Bank, the second largest banks after the SBI) had been cheated by two big diamond merchants to the tune of Rs.13,000 crores! 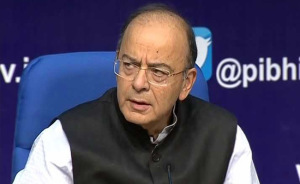 It seems likely that this time in 2019’general elections’, the BJP has to face the onslaught of the Opposition parties over the Finance Minister’s series of a chain of scandals on unrecovered loans and newer finance frauds. Also, the FM might have to explain to the voters why the Budget under him was passed without debates? Also, how the Finance Bill, as pointed out by one brilliant MP, this time the honour goes to N.K.Premchandra M.P. from the Revolutionary Socialist Party the Finance Bill “hid” amendments to 25 other laws. These are serious lapses for a ‘legal eagle reputation FM’ for more than few months the Central government hasn’t acted in any really serious manner. The people were let down. The directors of the banks haven’t resigned/are sitting in their cool comforts and carrying on their jobs! Is this an example of the Prime Minister Narendra Modi’s claims of efficient governance? Things done seem to move fast. How many days have gone after the major fraud in the PNB was detected. Let some heads roll and let the people feel that the government is acting in right earnest? No, nothing of the sort we are able to detect from the way the administration is moving. Please move fast and show the people some visible action. Can any private sector bank or an industry or any small person, be it a businessman or a farmer can feel these comforts? How to understand the working of the government?. Now, it is so sad to read also the finance ministry that is the controller and supervisor of the banking system is reeling out in its own pace some lame excuses. The most outrageous statement is to tell us that the RBI has ‘enough powers to act tough prevent fraud’. What to take from this statement of the finance ministry? Also, relevant to see that the finance ministry is perhaps the most powerful and also the most glamorous of the ministries in Delhi. But unfortunately, as we write the finance ministry is too much in the public eye today for the previous one case of money laundering is catching the eyes and attentions of the public to see what truth is and what is hype or even revenge. So many powerful actors are playing in this game of plain treachery to seek revenge by all those who have some scores to be settled. You see the current scenario, the political and other areas of public life, be it media or judiciary or even such fearsome agencies like the CBVI or ED, everyone seems to be playing free. Even the media is not a free agency as we, citizens, imagine. The Chief Justice of India has warned of the media, specially the electronic media where the CJI has called the media as if it is playing like the Pope! So, you can’t protest much given the state of the role of media, private and public, in today’s India. Who doesn’t know that the media, again, specially the electronic media is heavily controlled by the big corporate houses? So, even the media, specially that is big and power run like other industries have to control their freedoms ,if not for anything else, it is for sheer survival in the debt-ridden industry atmosphere. So, it is no great sense of elation when we say that the media might look like all-powerful, it is not. The media freedom, the so-called freedom of the press is not all freedoms, it is all serfdoms. So, what we really feel possible today is to create as much of public awareness and public perceptions over the way our rulers are managing the affairs. Every area seems to be dominated and directed by vested interests, a very tired old cliche, no doubt. Or, if you choose something fresh call these vested interests as the new oligarchy! It is a rule of the few, in fact, very few of the very mass of people. Also, who doesn’t know it are the wrong-doers who also seek publicity whenever they need, as we see lately in some of the new political initiatives after the rejection of the leaders and parties in some of the latest by-elections. So, the electronic media is also sought after and you want news of yourself and want also the news to project you as innocent and all white and truthful. But as vested interests you are there and you are also waiting to strike at us whenever we go out of the way to reach out the people in whose name we are all doing these activities. Now, we have passed the Finance bill without any debate, why even the political funding route was also cleared and no one knows which party received how much and from whom? Where we will lead the country with this sort of mutual anarchy rule? Only those who some history, some long term outlook can fear for some outbreak of political instability and the resultant consequences. We are proud of democracy? One can’t be sure seeing how the Parliaments are functioning. It is the supreme duty of the Prime Minister, the Cabinet and the ruling party to ensure some order and sense in the way we treat the truth and safeguard our own honour and the honour of the country and the people. The media can’t let thing lying as they are. In the index of democracy and press freedom, India ranks not very high but rather lower than even the flawed democracies. So, public perceptions and shaping public opinion the media has lots of burden in discharging its duty. It is for the people, the youth, and the educated class that all these sad and disturbing developments to analyse and agitate. Protests might be more if things are allowed to deteriorate further. This is the perhaps the minimum possible protest that any sober media can make. Otherwise, it is the CJI’s warning and that might even go out of control. For the electronic media has the potential to derail the current political order. Some decisive action or some drastic action in the government and the governance pattern is urgently called for.